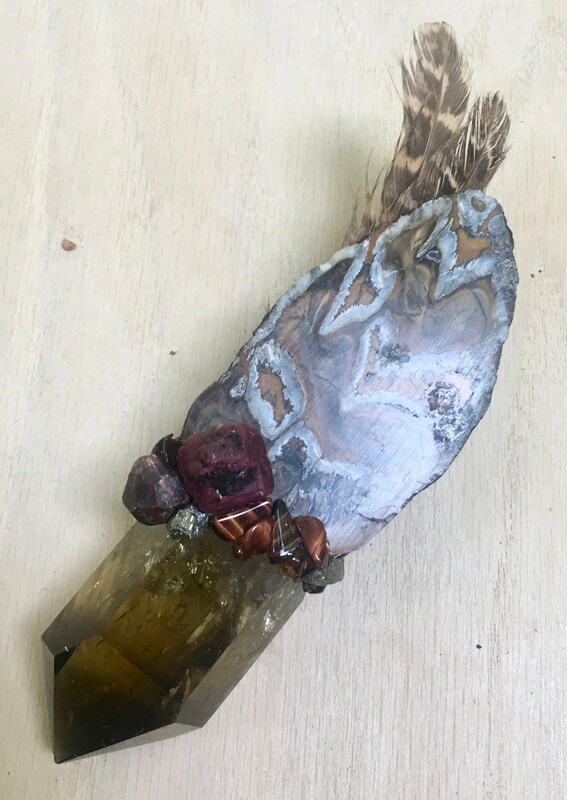 Assists with Healing & Removing Blockages, Habitual Thought Patterns, Heavy Emotions & Generational Traumas; Opens the Heart to Unconditional Love; Aligns Personal Power with Divine Will; Fosters Ease in Manifestation & Connection with Ancient Wisdom; Offers Protection; Encourages Devotion, Integrity, Creativity, Psychic Development, Unity Consciousness & Grounded-ness. 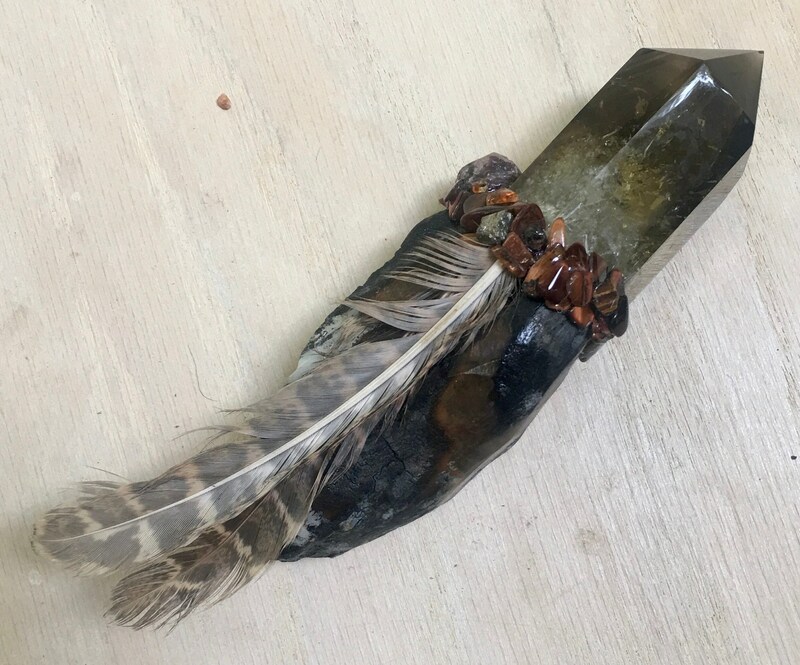 Woolly Mammoth Medicine – Bone – Assists with embodying strength, stability and perseverance to bring dreams into reality and become all that you are meant to be. Brings courage, support and protection during times of deep healing. Mammoth act as guardians, sharing wisdom and providing guidance. Remind us of the importance of finding our tribe and working cooperatively. Encourages altruism, creativity, unity consciousness and grounded-ness. Smoky Citrine - has the powerful ability to remove obstacles and blockages from your path. 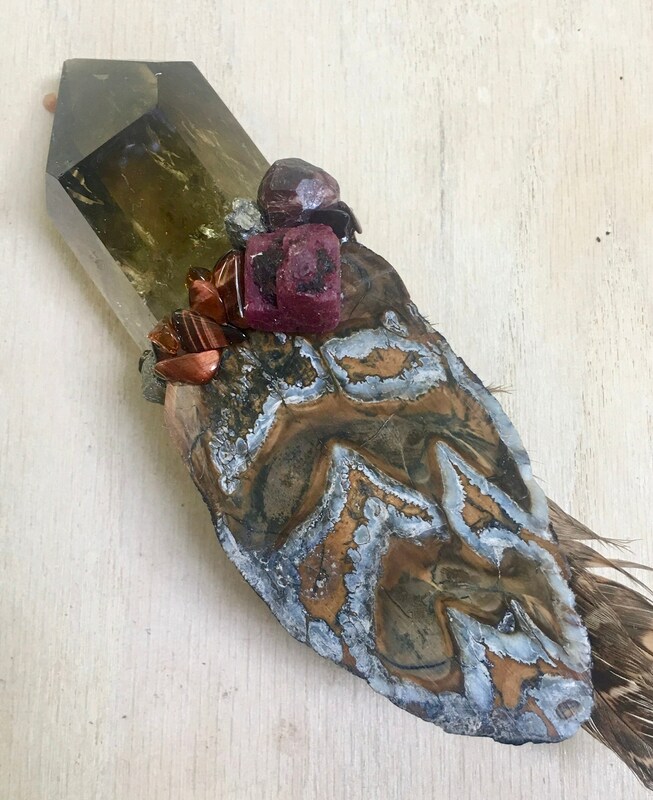 Smoky Citrine contains vibrations of abundance and dispels outdated thought patterns that could be holding you back or causing suffering. It can move you into a position of deeper expansion and growth, while attracting abundance and happiness. Also has a grounding component to it to help keep you rooted to earth energy and practicality. 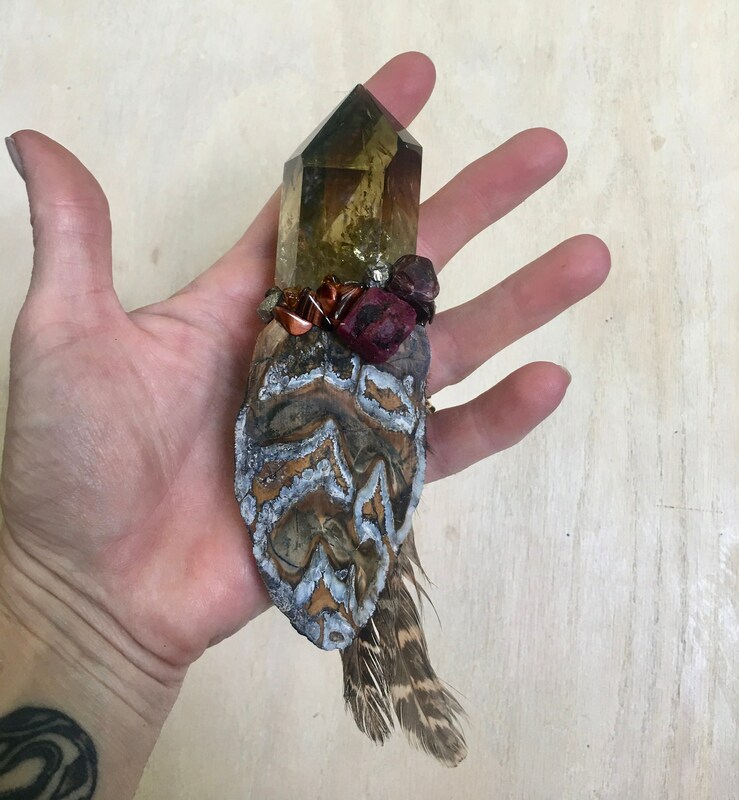 Assists with channeling and connecting to higher realms. 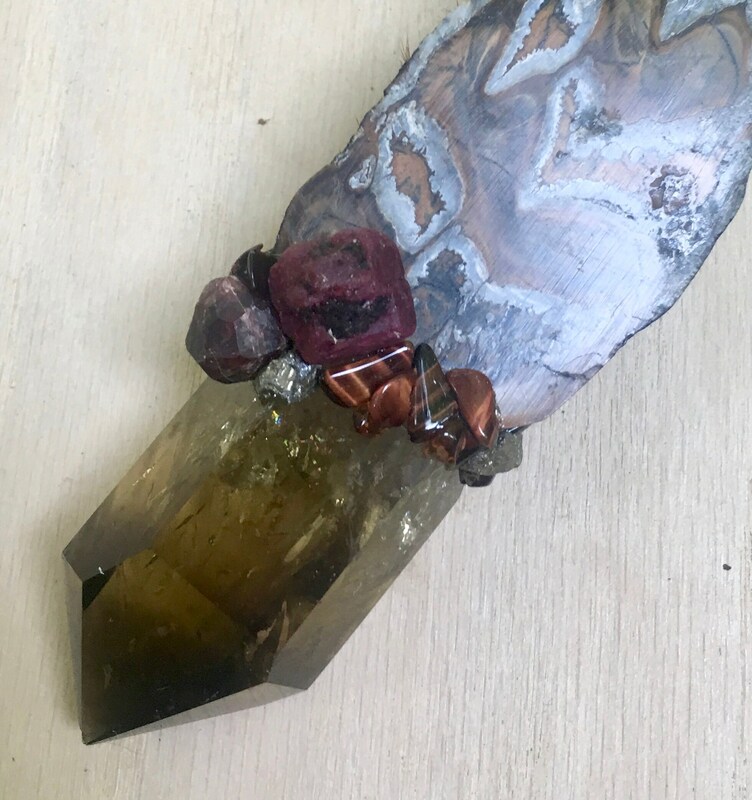 Holds the energies of Smoky Quartz and Citrine. Ruby Record Keeper - opens your heart past the boundaries of personal love and passion to unconditional love. Brings you into alignment with Divine will. It brings freedom, flow and peace. Assists you in removing lethargic, dormant energies in your physical body, emotions and mind. Brings integrity, devotion and happiness. It also enhances generosity and brings prosperity. 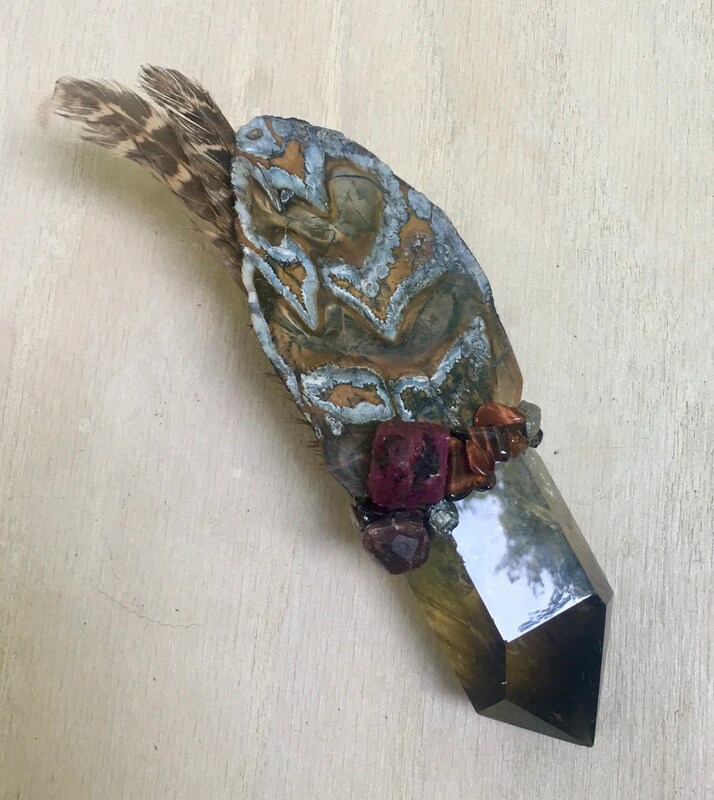 Offers physical and psychic protection. Promotes healing on all levels. A record keeper crystal spiritually stores information needed by the person it comes to. 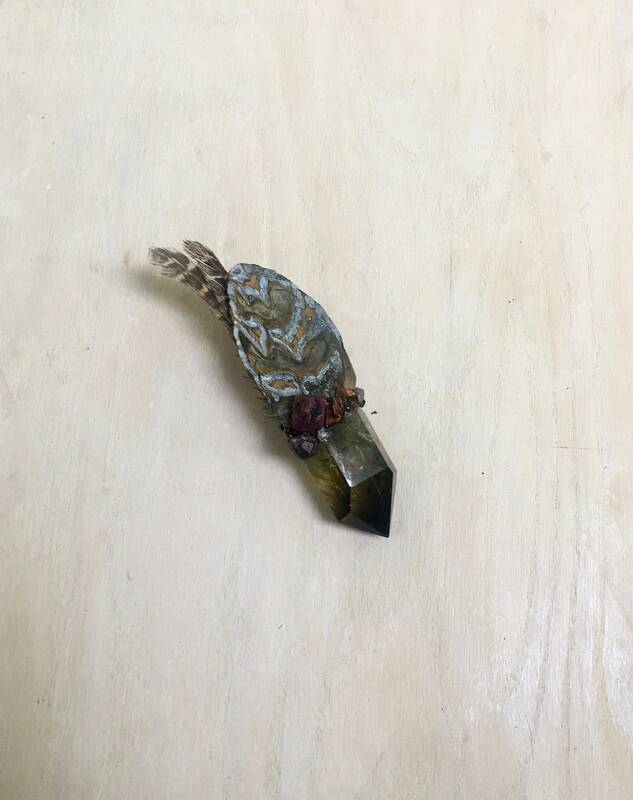 This spiritual information may be ancient knowledge or knowledge specific to the person working with the crystal. 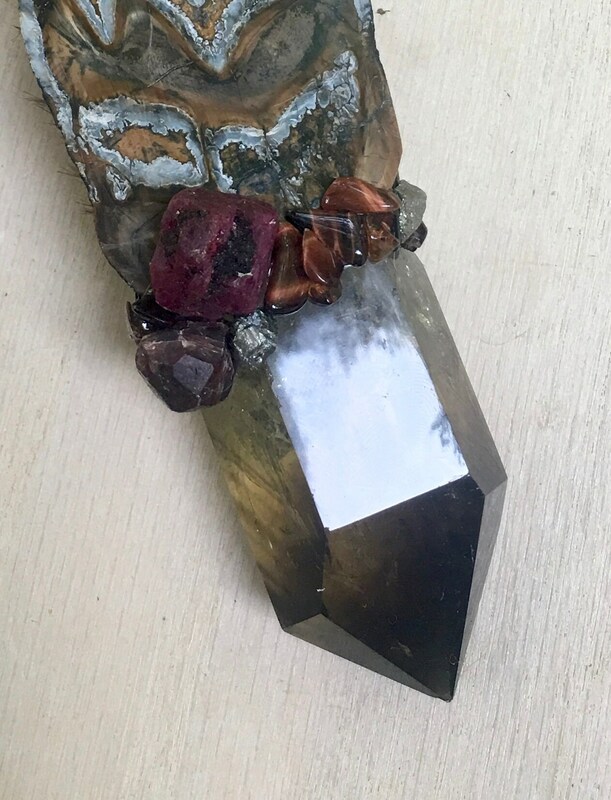 8 inches long; Smoky Citrine 3.5 inches long.